This reminds me of the rice you can get at Chipotle! Next time, I am going to make it with healthy brown rice! 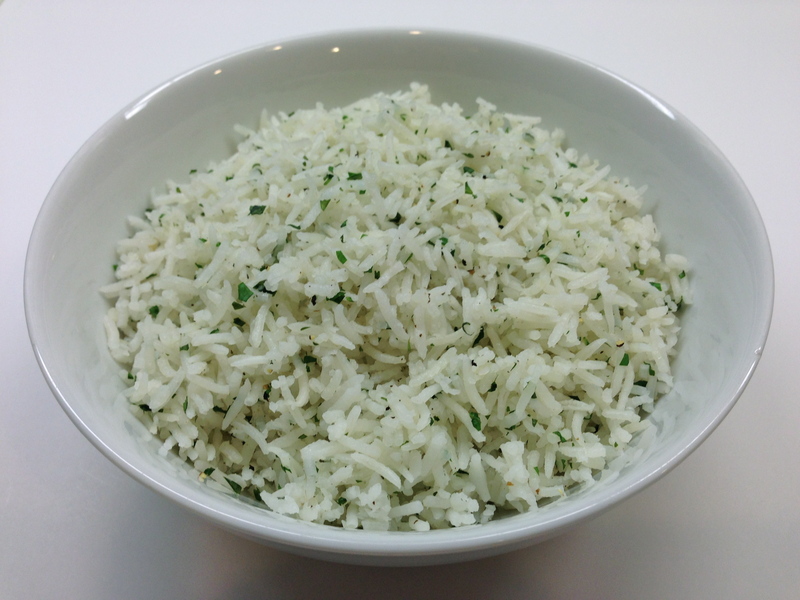 In a small saucepan, rinse rice 2 to 3 times. Add water, oil, garlic, salt and lime juice. Stir well. Uncovered, bring rice to a boil over medium heat. Stir well. Cover rice and simmer for about 20 minutes until water is gone. Transfer to a medium bowl and fluff rice. Add cilantro and freshly ground pepper. Mix well and serve. Makes 4 servings.